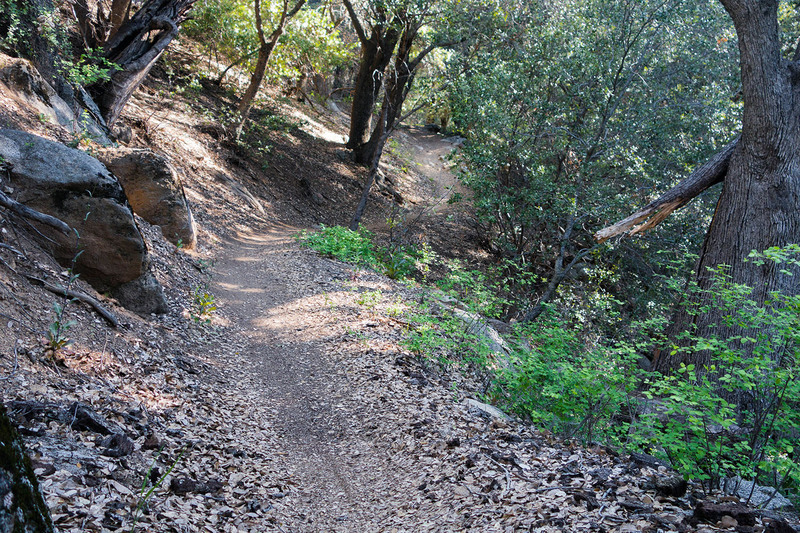 Noble Canyon Trail is a popular hiking and mountain biking trail located in the Laguna Mountains. 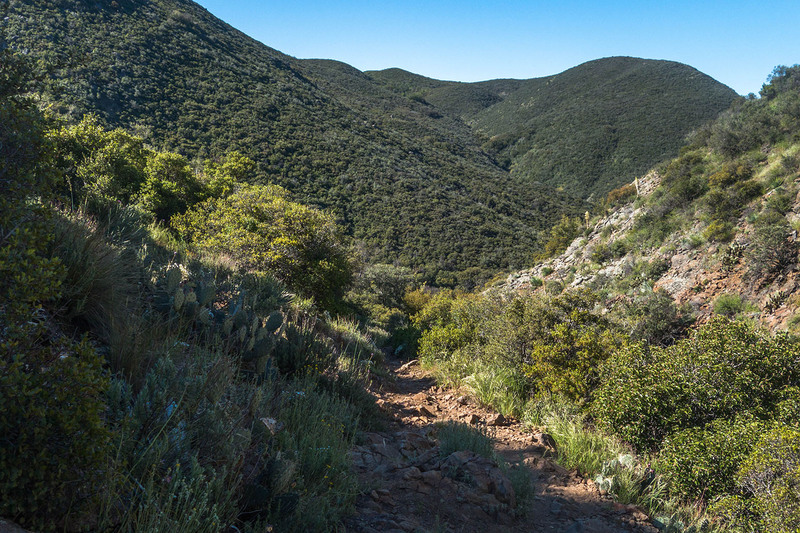 The trail is steep, rugged and a little technical in places, which makes it one of the more strenuous trails around for mountain bikers. 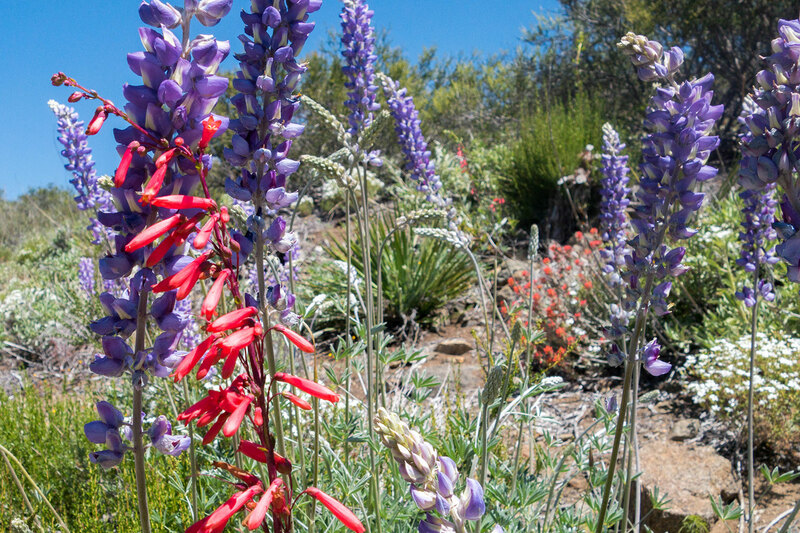 We started our hike around 7:30 am at the Penny Pines trailhead off the Sunrise Highway in the Laguna Mountains. 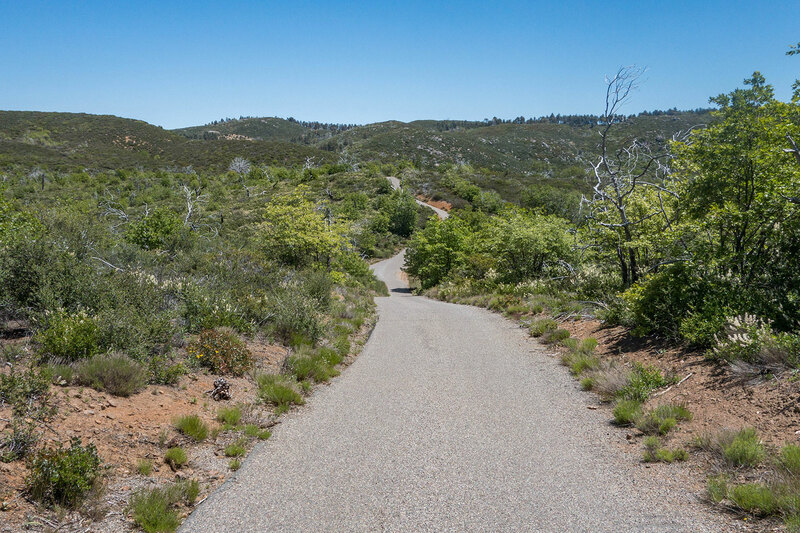 The Noble Canyon trail is typically done point-to-point, especially when riding a mountain bike. We were carpooling and only had one car, so hiking the 10 mile trail point-to-point was out of the question. We also weren’t up for a 20 mile day, so hiking out and back was also out of the question. To solve the dilemma, we chose to hike a 13.9 mile loop that would take us down into the canyon to Pine Creek Road and back up to the highway. Shortly after leaving the trailhead we passed the valley where Pine Creek Road meets back up with the Sunrise Highway. 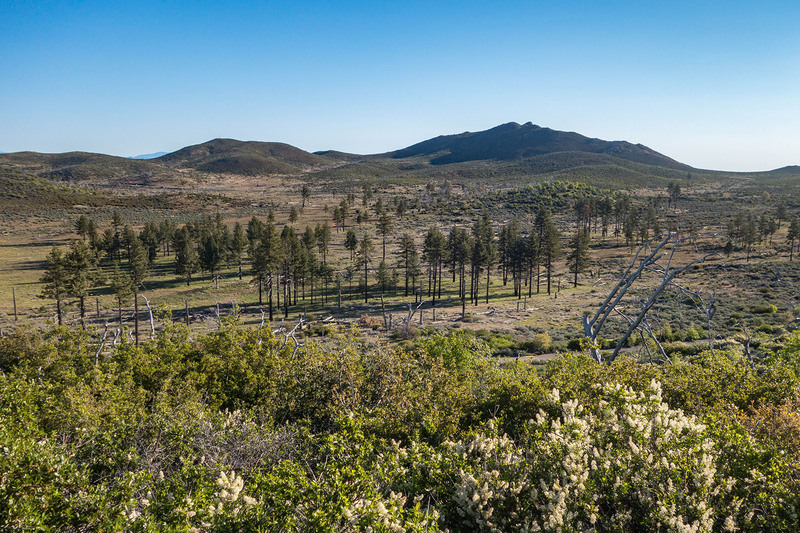 Across the valley, we could see Garnet Peak overlooking the desert and the pine tree covered summit of Pine Mountain. As we made our way down into the canyon, the forest became lush and green. 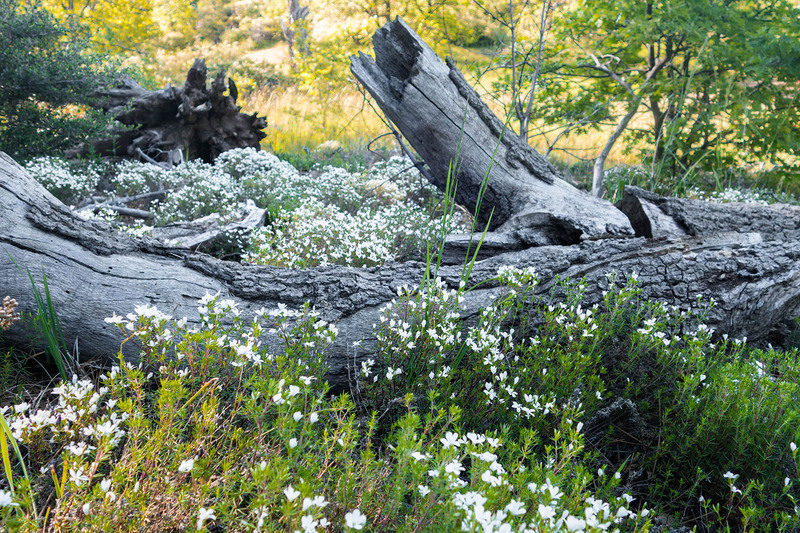 It was late spring and the wildflowers were in full bloom everywhere. The well-traveled trail was easy to follow as it worked its way along the creek below. 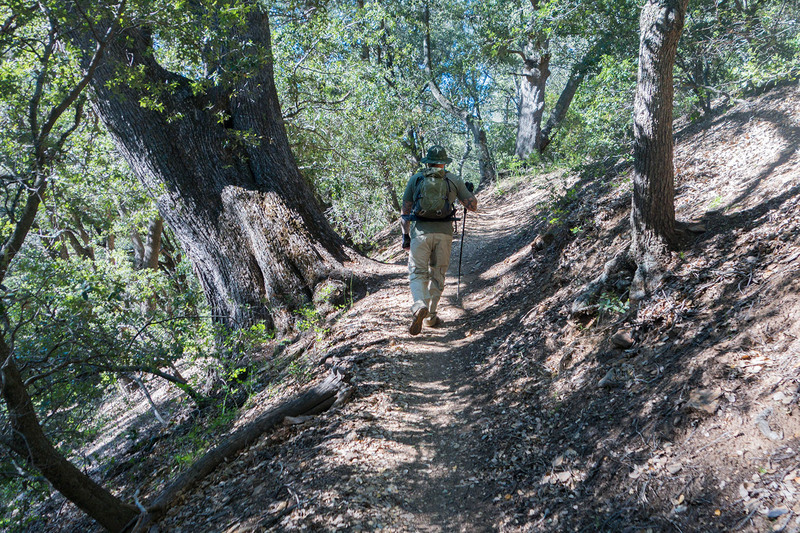 The trees above us provided plenty of shade and helped to keep temperatures down, making this section of the trail a pleasure to hike during the heat of the day. 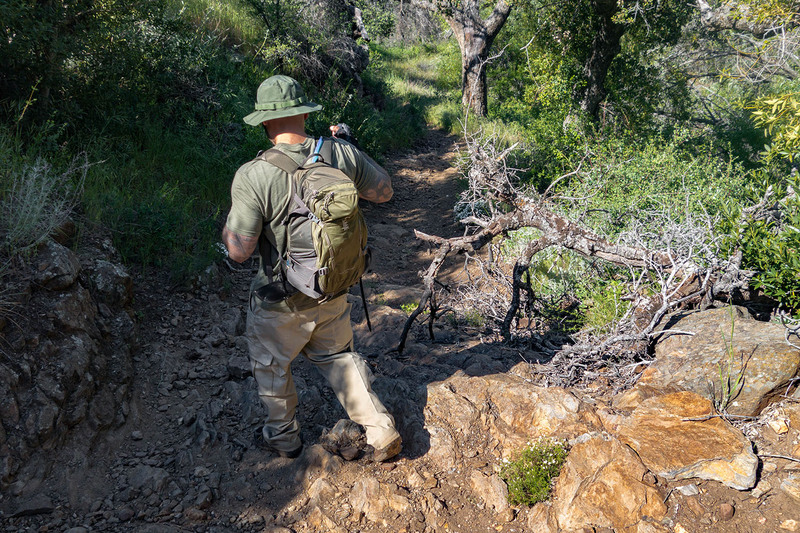 The trail is steep, and at times technical, which made the prospect of hiking out the same way we came in less appealing the further along we hiked. As we continued hiking, the trees opened up occasionally to clear views of the canyon around us. With a topographic map in hand, we were easily able to pinpoint our location, which gave us a good idea of how far we had hiked. At this point we started keeping our eyes out for signs of old mining and cabin ruins rumored to be in the area. Before long we stumbled across our first creek crossing. 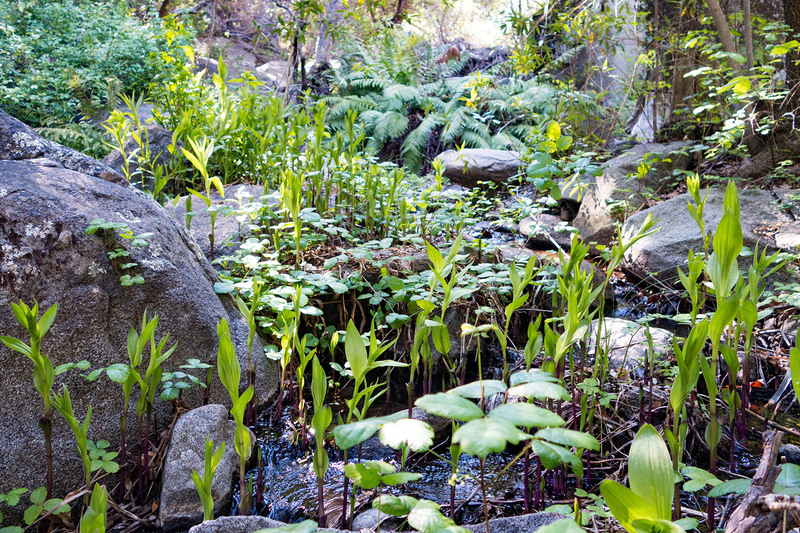 The water was flowing lightly, but there was enough to offer that sound of a trickling brook and a couple small waterfalls. 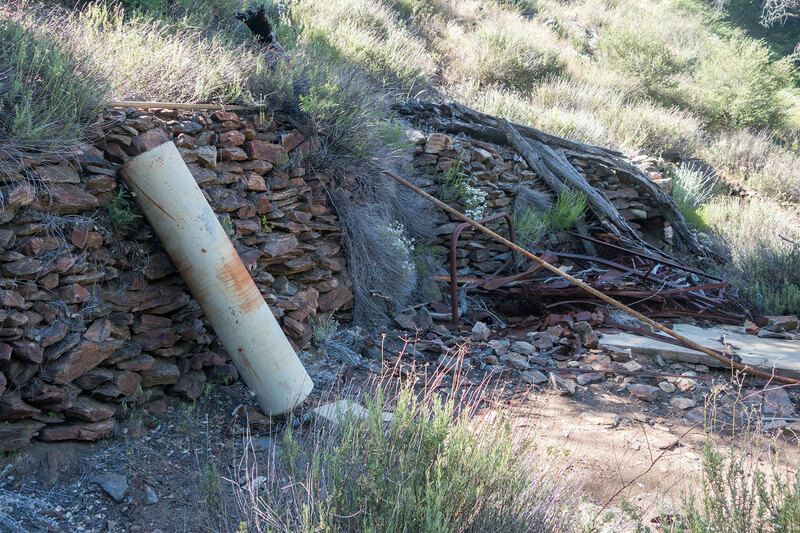 With a reliable water source in sight, we knew it wouldn’t be long before we found the mining ruins and, hopefully, evidence of the old water flume. We kept an eye on the creek and soon started finding pieces of the old water flume. Small, broken down dams and other concrete structures were visible from the trail. Ian took every opportunity to go off trail and investigate the old ruins. 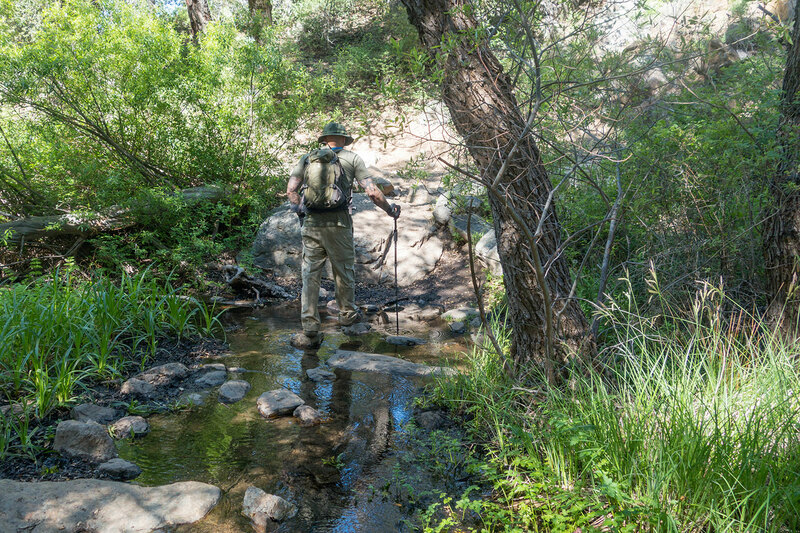 We continued working our way down into the trail until we came across this creek crossing where we met back up with the trail on the other side. Standing on the other side, Ian spotted what was clearly a man made wall. 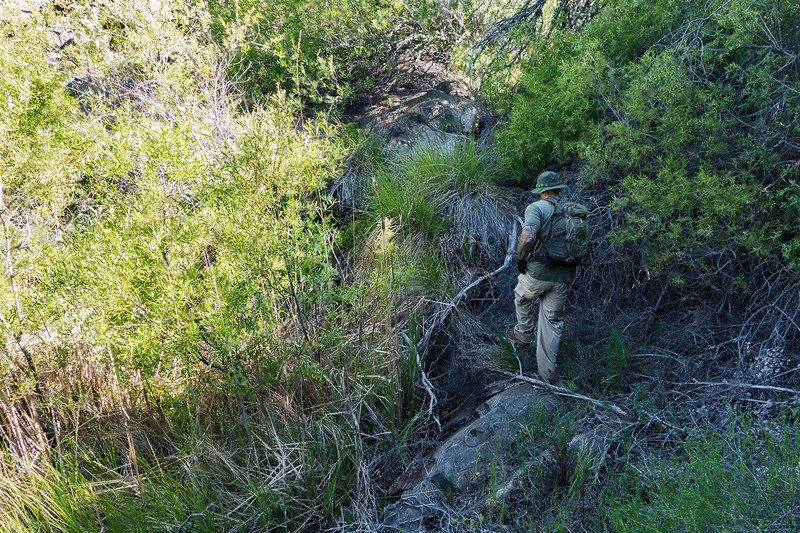 Without hesitation, he headed back across the creek and up a small hill to investigate. Hidden among the trees just above the creek on the south side of the trail we found the remnants of an old homestead. Abandoned evidence of a difficult lifestyle long forgotten was strewn about the site. Lacking any real historical background, we assumed this site was used by the people who ran the mine we discovered a little further down the trail. 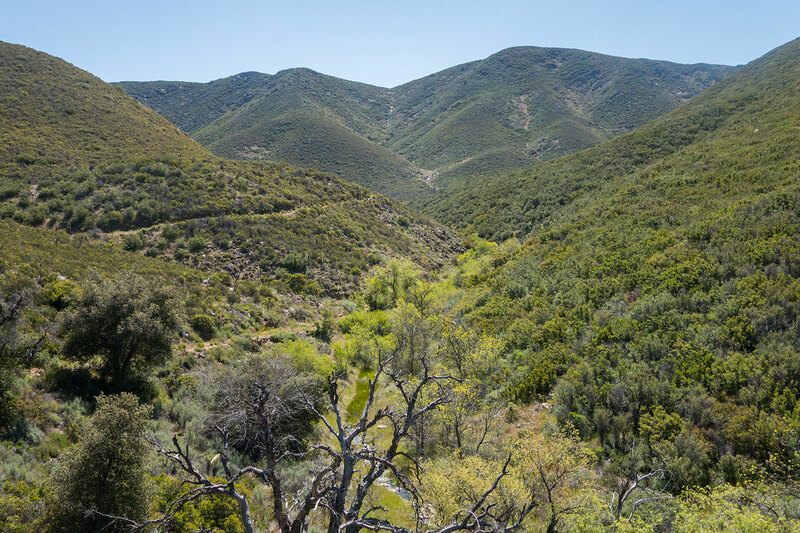 We followed Noble Canyon for a few more miles after leaving the homestead until we reached a fork in the trail. 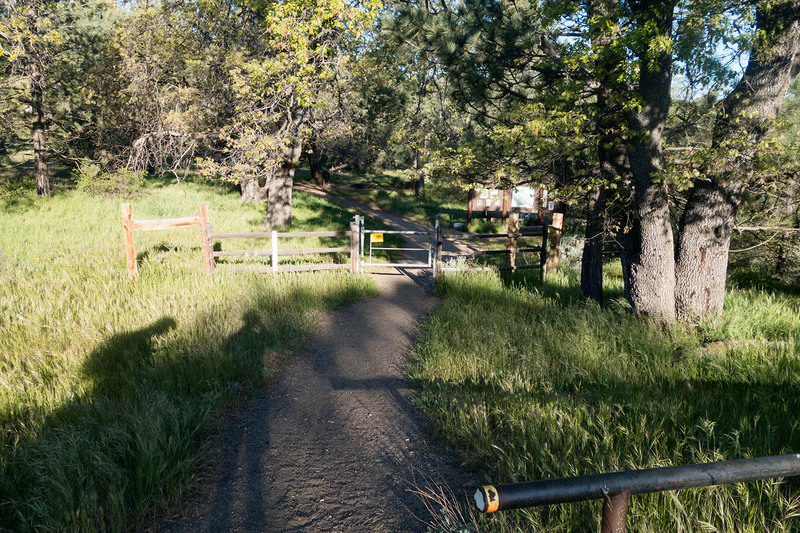 Noble Canyon Trail continues to the left, while the less traveled trail to the right led us straight over to Pine Creek Road. We picked up Pine Creek Road and followed it back up and around the canyon until it reached the point where we had crossed the road on our hike down. Pine Creek Road was paved most of the way out with spots of dirt here and there. Near the end of our hike we were came across our second snake sighting of the day. The first was a small racer that was sunning itself along the trail near our junction with Pine Creek Road at the bottom of the canyon. 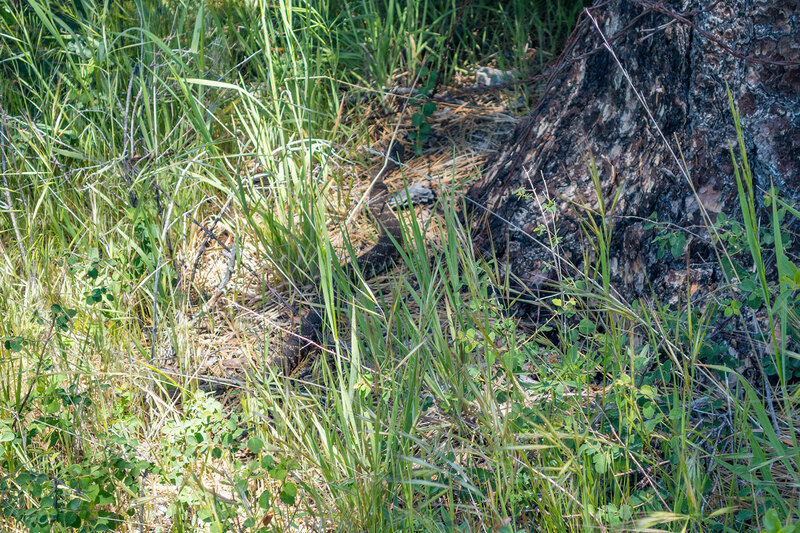 This second sighting was of a 3 foot Southern Pacific Rattlesnake. Fortunately, I saw it about 20 feet ahead of us on the trail before we crossed its path. I paused for a moment to allow the snake to clear the trail before cautiously approaching to make sure we were safe. The snake hadn’t spotted us yet and was slowly making its way around a tree when it caught on to my presence. It spun around and quickly made sure I knew it was there with a loud rattle, but not before I managed to snap this parting shot.